Nothing really grand on weekend, after church we dropped by the mall to buy this toy wind vane the kids has been requesting and some photo opp with bears and dolls. This lil girl doesn’t really like to be blogged, that’s why she’s seldom seen on my blogs, I have to ask permission first before I’ll hit publish, this time she gave me a go. Hence, linking this to Chic in Black Monday. you can also leave your FB page on your comment so I can like back. 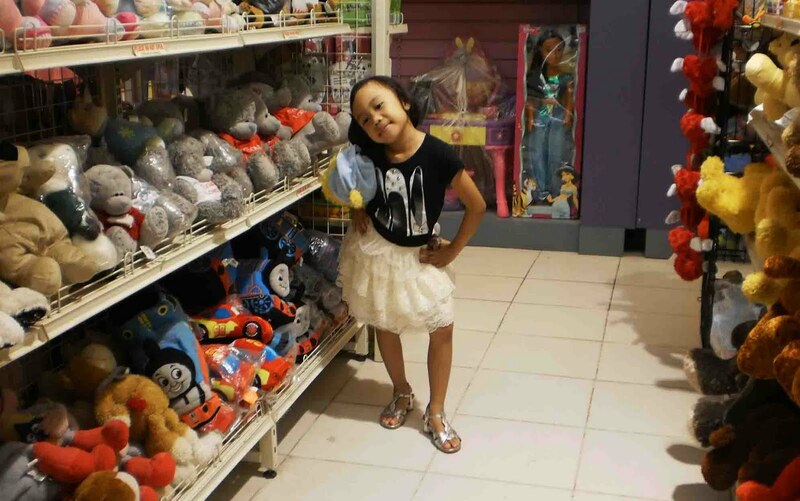 blog-shy diay imong lil fashionista! Ayayay! Love the pose! Talaga naman fashionista and super Chic to the max! Thanks for joining and have a great week! ayay! posing man kau ang model woi...sos, mahal diay ni ug talent fee bataa teVernz...ehehehe! na-change na nako ang SN didto sa godaddy Vernz, pero wa japon migawas ang awomansnote.info, dili na noon parked...isa pa, gi-open nako ang cpanel, wa man ko katuod atong imong giingon nga "Admin" asa diay ni nagtago waaaaaaaaa..
Ohhh.. she did a good job in posing for the camera. Nice outfit too.. i love the skirt. So cute on her. Liked your FB page sis. Hope you can like Pink MagaLine back in case you haven't "liked" it yet. Hihi. oh DEAR!!! so SOSSY naman ng baby n ire kung pumose!! :D love it! hi sis, i followed you and liked you on facebook. I'll really be glad if you do the same. Nasa page ko yung facebook din. looks like she's really enjoying!